Irina Tveretinova (r) oversees the project and is the go-to contact for both, the refugees and their mentors. Eleven refugees have started working - and learning German - at Fiege in Bremen. 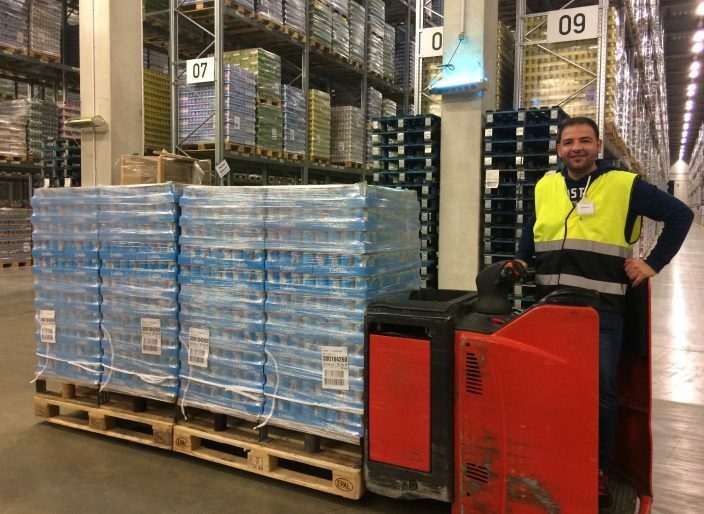 For six months, the refugees will be working half-days at Fiege while taking German classes for a further 3.5 hours. Successful participants may be given the opportunity to take up regular employment, or receive training, afterwards. Fiege employees double as mentors (l) and help their new co-workers with finding their way around. This qualification project mirrors Fiege’s support for displaced persons, giving them new perspective. Bremen, 4th November 2016. 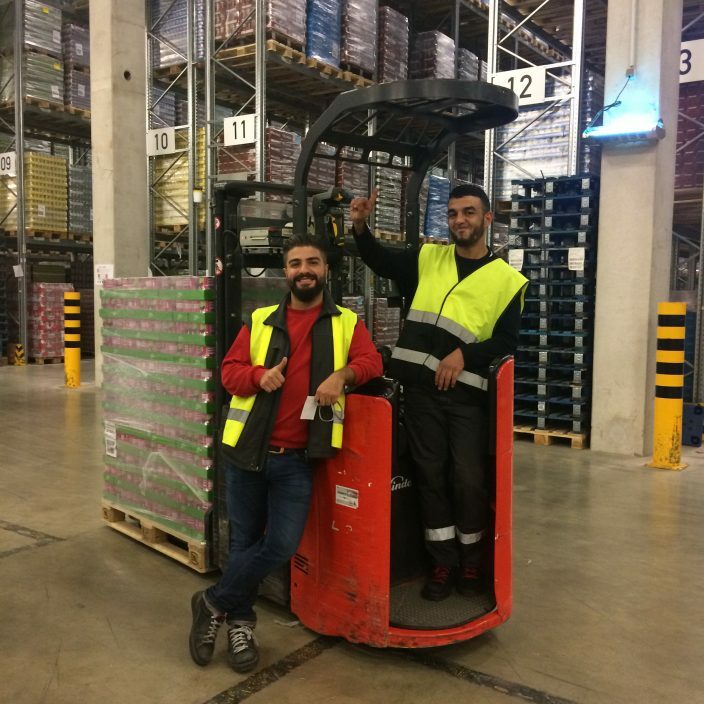 Helping refugees on their road to learning an occupation and freeing them of their dependence on government support: Together with the Bremen-Bremerhaven Employment Agency and the Bremen job centre, Fiege Logistics has started a six-month qualification project aimed at integrating displaced persons into a working life at its facility in Bremen. 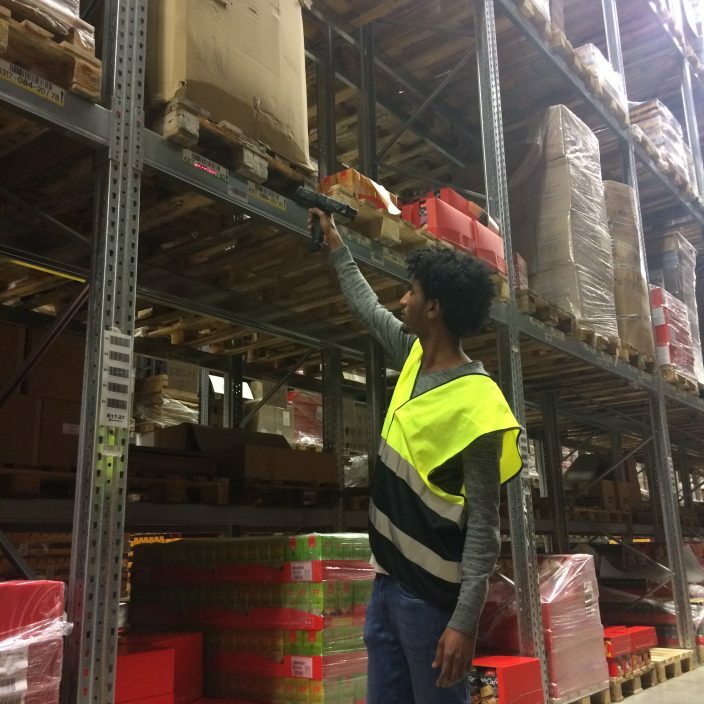 Eleven refugees from Egypt, Syria, Somalia, Eritrea and Afghanistan have started working at the Bremen freight centre (GVZ) on 11th October. 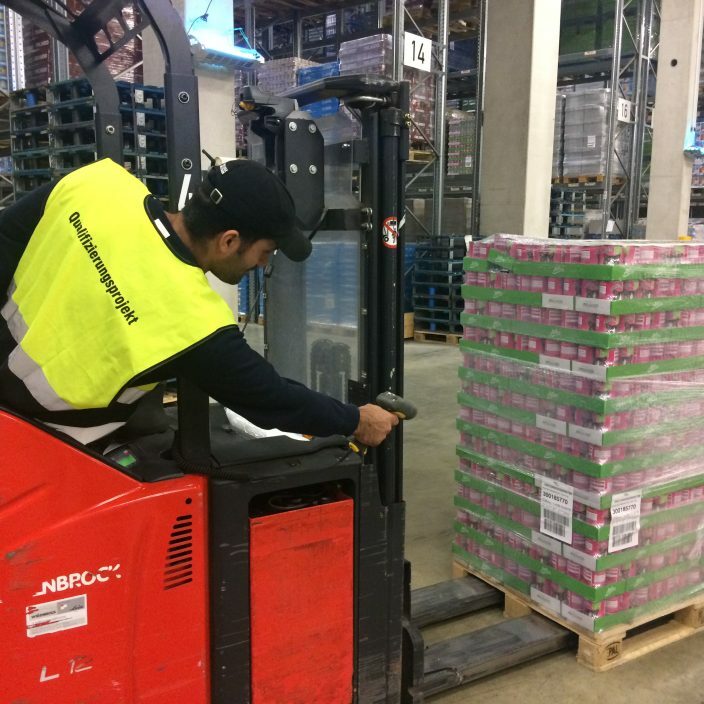 What is so special about this: all eleven men will receive 3.5 hours of language training a day and will learn about warehouse and logistics basics for a further 3.5 hours. 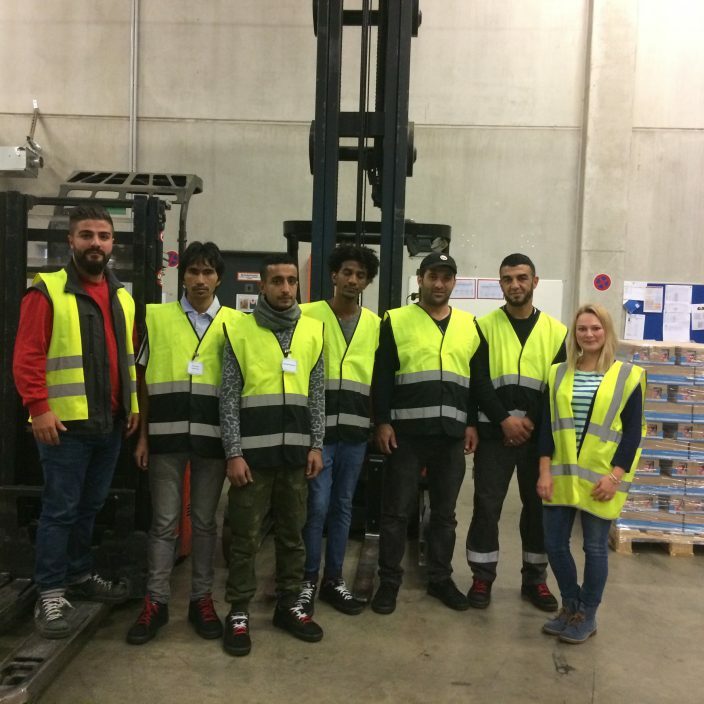 The refugees will be divided into two groups so that five will be on early shift and six on late shift – switching things around the week after. 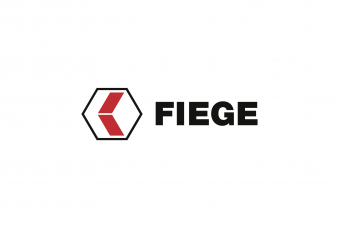 Mentors who speak the native language of the new employees will assist them with settling into the daily work routine at Fiege. “We are a multi-cultural location which means we have all languages covered”, says Breth. “Our employees were immediately happy to help.” Small groups of three refugees each have one dedicated mentor.